The Catholic Research Resources Portal, or "Catholic Portal," provides global, freely available access to rare, unique and/or uncommon materials in libraries, seminaries, special collections and archives. By electronically bringing together resources in many formats from many collections, the Portal enables easy, effective and global discovery of Catholic research resources. The Portal is a core component of the CRRA's mission and presently contains records to rare and unique member-held resources in all formats, and a growing number of resources available in digital form, or, "full text items." We invite you to watch this short, three-minute introductory video, courtesy of Barry University, to learn more about about searching the Portal. 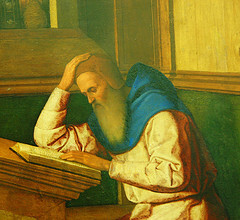 In its Collection Policy Statement, the CRRA has described its content and scope and identified twelve primary collecting themes of particular interest and importance on significant aspects of the Catholic tradition, including social action, education, Vatican II, Men’s and Women’s religious orders and missions. Portal development plans include building a robust digital humanities environment enabling scholars to search across texts, re-purpose materials, and facilitate scholarly communication and collaboration. If there is a resource that you would recommend for inclusion in the Portal or on the CRRA website's Links and Resources page, please let us know by sending an email to Pat Lawton at [email protected]. Video: An Introduction to the Catholic Portal.